TextUs is the world's first real-time communication platform changing how businesses communicate with their contacts. With 10x the response rate of traditional communication, TextUs combines business-class text messaging™ with cloud voice features to connect with people in real time. Communicate faster and build better relationships - Start texting! 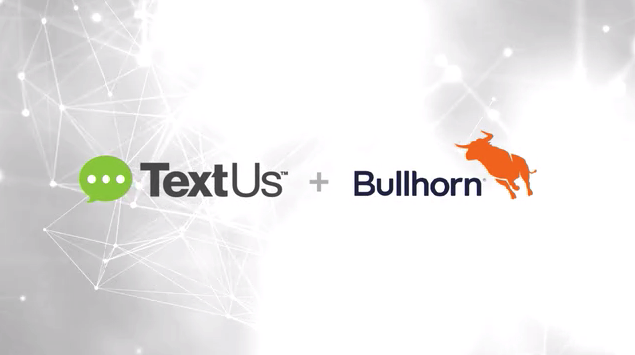 The TextUs integration for Bullhorn allows your team to add powerful business-class text messaging™ and voice software to your Bullhorn workflow. Import groups of contacts from tearsheets, send personalized broadcast and individual messages with templates and track all that texting with each contact in Bullhorn. Use conversational text messaging to warm up contacts instead of going straight to the cold call. 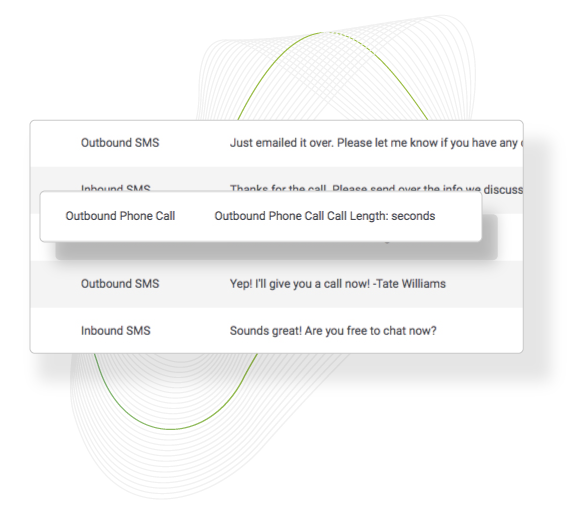 Once you’ve started a conversation, instantly click-to-call right in your workflow. Now you can use conversational texting and voice software together to warm up contacts and drive the real conversations that grow your business. What if there was a way to cut through the noise, and warm up contacts instead of cold call? With TextUs, you can do just that. A faster communication workflow with fewer clicks will make your team more productive and your contacts more engaged. That's why TextUs is launching a voice service to help drive the real conversations that grow your business. Boost team productivity with TextUs Click-to-Call - Use a conversational texting approach to warm up contacts instead of going straight to the cold call. 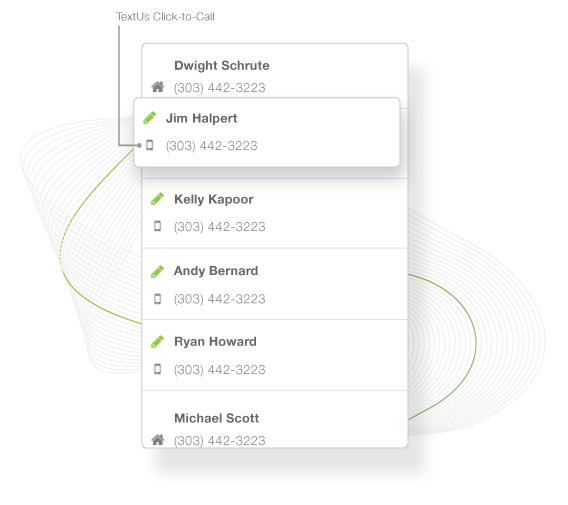 Once you've started a conversation, instantly click-to-call right in your workflow. Now you can use TextUs business-class text messaging™ combined with cloud voice software to warm up contacts and drive the real conversations that grow your business. TextUs empowers professionals to provide a one-to-one connection to their customers, engage contacts with personal outreach, and dramatically accelerate the way we get business done. With a real-time communication strategy you’re not cold calling your contacts, or expecting a response from an impersonal automated email: You’re opening a conversation and asking them to respond when they’re able. On their terms. For the first time, you’re having a real conversation and dialog with your contacts.